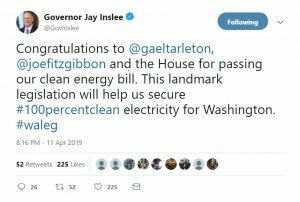 News broke Thursday afternoon that Governor Inslee’s carbon tax is officially dead this session. In a video posted on Twitter, bill sponsor Senator Carlyle says that while the bill made historic strides this year, it fell a vote or two short in the Senate. 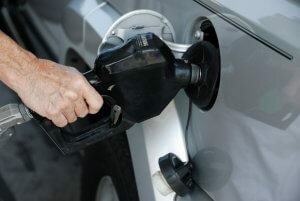 Sen. Carlyle also said while the carbon tax won’t be moving forward, there are several other priority bills looking to reduce carbon that he will now focus on. “It looks like we’re going to move into Plan B which is around clean energy, 100 percent renewable energy and policies like that. It’s unfortunate that we weren’t able to get to the top of the mountain this year but we made it well past base camp and almost all the way to the top. I think we’re going to see some public action in terms of some initiatives and I think that we’ll also see the very real possibility of legislation in 2019.